Women in Power is VSO's call to increase women's participation and influence in political and public decision-making. Decision-making power among women ensures their specific needs and interests are promoted and defended. 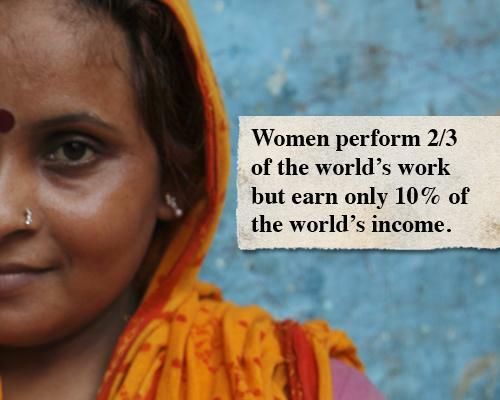 Because women are more likely to live in poverty than men, it is essential they have a voice. VSO has worked with women in 90 countries over 55 years, and observed first-hand the barriers that perpetuate women’s exclusion from political and public life. We know that gender equality in leadership leads to more equal allocation of public financial resources, and more targeted delivery of services such as water, education and health services. Much work has been done to address gender inequality in political representation through the UN Millennium Development Goals, as well as through national and international policies. But progress has been slow. Women continue to be marginalised within decision-making institutions and processes across the world, from the local to the international level. Advances in equality are yet to translate into genuine and sustained improvements in the lives of women. 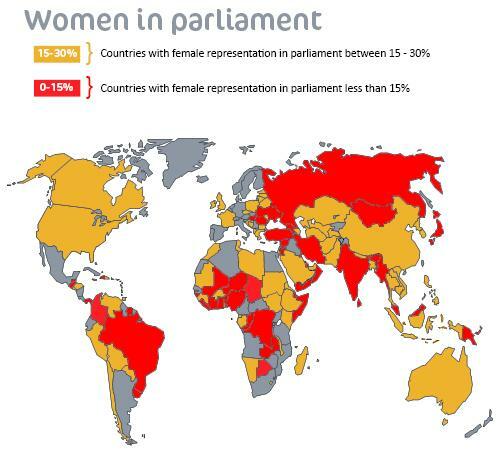 As of December 2014, female parliamentarians made up only 21.9% of national parliaments, a slow increase from 11.3% in 1995 and there are still 37 States in which women account for less than 10% of parliamentarians. 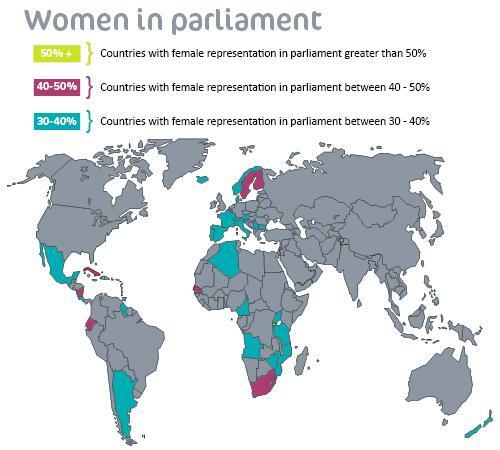 Based on current trends, women will not be equally represented in parliaments until 2065, and will not make up half the world’s leaders until 2134. The accompanying graphics give a snapshot of female political representation globally as of January 2014. Kenyan MP & former minister Hon. Esther Murugi Mathenge, 61, is a fighting force for the people of Nyeri. She was the only female politician in her county when she started in office. 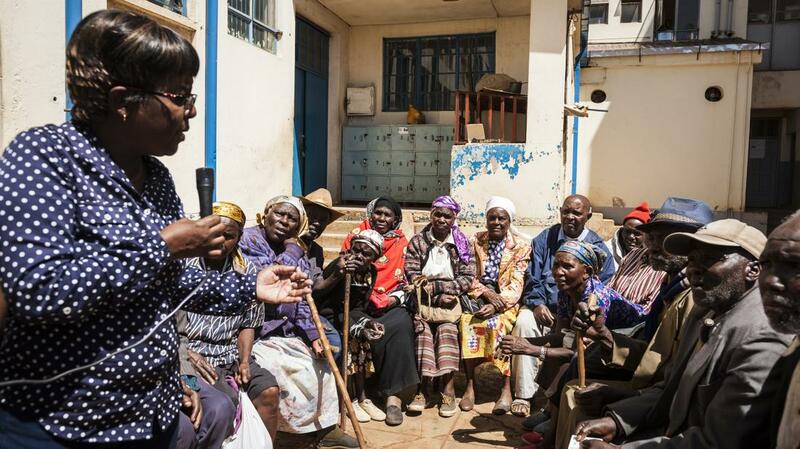 “Unfortunately, Kenyan politics is still seen as a man’s world"
Esther is part of the Kenya Women Parliamentary Association (KEWOPA), a membership organisation supported by VSO to address issues facing women in politics, and build up their capacity to participate. 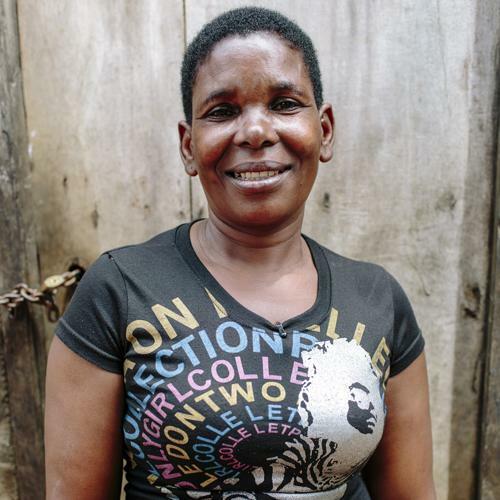 Esther used her two terms in office to build health facilities and improve education prospects for girls, so that they have the confidence to strive for opportunities beyond ‘wife’ or ‘mother’. 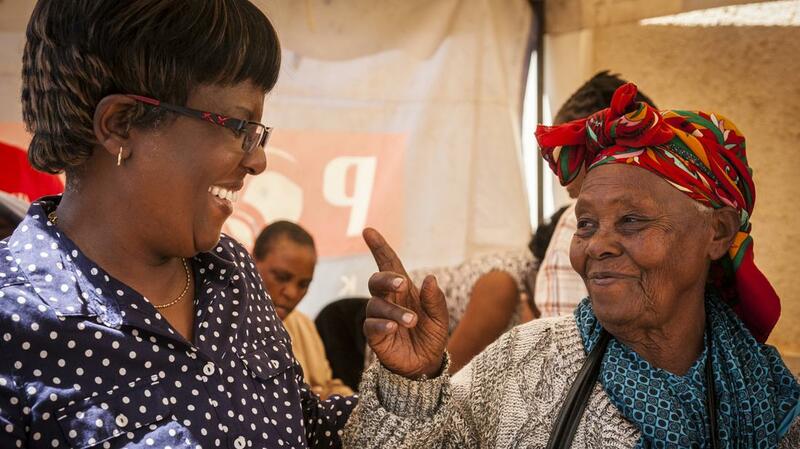 Esther also established the Cash Transfer for the Elderly programme, a scheme which has been rolled out across Kenya. She explains, “When I first started as minister, I spoke to older women who felt that their government had forgotten them. Many had never worked so they didn’t have a pension or anyone to look after them." Since 2006, Kenya has had a 30% quota for female employees and parliamentarians in Kenya that remains unmet. It is often at the local level that women have been most successful at getting into positions of power and influence. Research has shown that especially in rural contexts, women that do gain a political or administrative platform favour policies on areas that rural women struggle with - such as the availability of water and road infrastructure. Women are slowly gaining influence at the local level, organically to some extent but also driven by policies that reserve a certain amount of political space for females. However, some women who fill places through quotas still lack the confidence of action required to be as effective as they could be, or rely heavily on the support of male relatives. A greater proportion of women in India are broadly involved in the political process than in Denmark, Germany or the UK. One of these women is Lakshmi Priya Nayak. Early marriage stopped her from continuing her education, and she supported her husband and their two children by managing a grocery shop in her village. 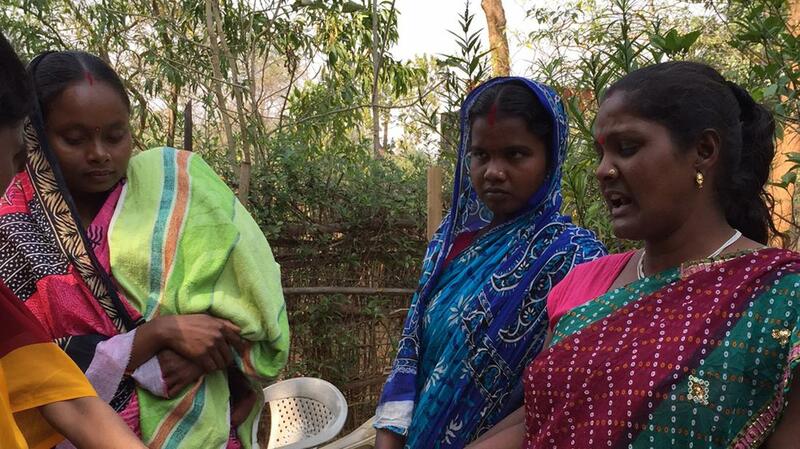 Lakshmi organised a self-help group for women within her community, and was so popular that the members proposed her for Sarpanch (chairperson) of Panchayat Bhagabanapur, her provincial forest constituency in Odisha state. It was a role that she was initially reluctant to stand for, but Lakshmi beat five other candidates to win the election. Two years into her tenure, Lakshmi has realised a number of infrastructure projects including the building of roads and ponds. Lakshmi has also used her role to encourage women to raise awareness of government health facilities’ available to family members. In many countries, strong patriarchal cultures subordinate girls and women in private life and exclude them from participation in public life. 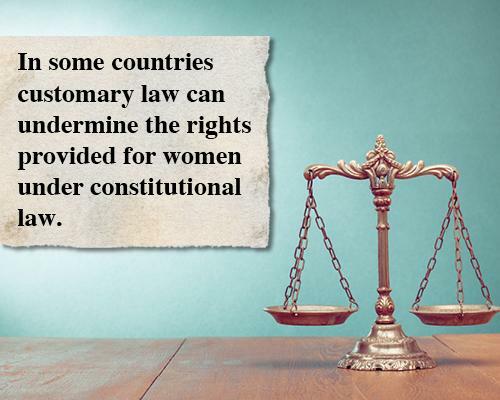 In Bangladesh, for example, state legislation frequently disregards women’s rights, despite the constitution stating that “all citizens are equal before the law”. In Northern Ghana, tradition dictates that women must not sit with men at community meetings but sit behind them. Such lack of opportunity to approach local politics on an equal footing sees those women who do engage fighting an uphill battle to be accepted by their constituents, including female voters. 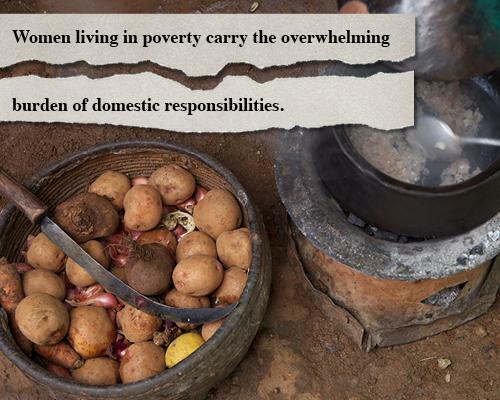 Women living in poverty carry the overwhelming burden of domestic responsibilities. They tend to have multiple roles as wives, mothers, daughters, community carers and income-generators. They are expected to gather water and firewood, and to clean, to cook and support their families. This work is unpaid and time consuming. For women living in poverty, getting involved in anything beyond their immediate needs for survival may seem like an impossible extra burden. These domestic expectations also contribute towards the lower educational attainment of girls, which in turn affects their ability and confidence to put themselves forward for roles in political and public life later on. Among the lush forests and rolling hills of Jogimara, Central Nepal, women and girls have little time or no incentive to go to school. 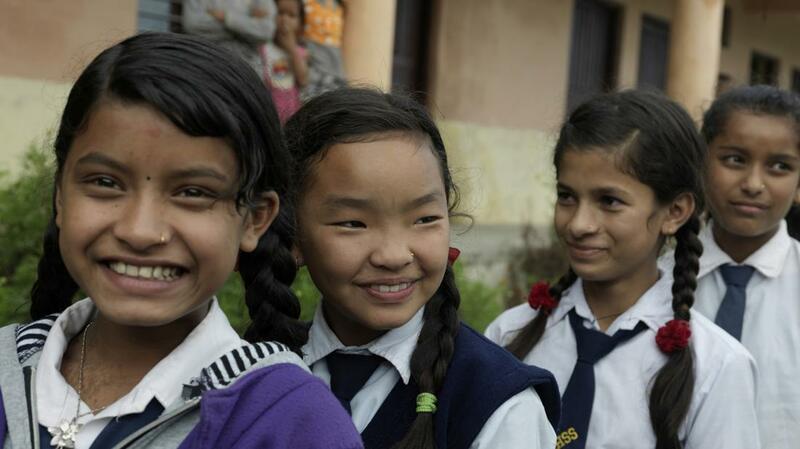 Yam Kumari Gurung is one of the few female head teachers in the rural areas. She’s working hard to boost girl’s enrolment. As a role model with Sisters for Sisters, a VSO-supported mentoring project to improve opportunities for girls’ education, she helps match up under-performing students with ‘Big Sister’ mentors. She says, “Every girl needs an education to be independent and take care of herself. Education is the same as learning a skill. Yam herself was one of the first girls in her community to finish primary school, and one of even fewer to continue her studies in another city away from home. Her achievements were possible because her parents were steadfast against village gossip that sending a girl away to study would lead to disrepute. She needed to be literate so the family could send letters to their father, who was serving abroad in the Indian army. Yam’s passion for education brought her home after she took a job as a teacher at the Rastrinimavi primary school. “I came back to my village because I believed that it should be able to develop. The community has a positive way of thinking. "If only one girl in the village passes her secondary school exams then that girl will get respect and become a role model,” she says. By the end of this year the Sustainable Development Goals for the next 15 years will be finalised. These decide our global priorities for human development. Specific indicators that measure the real extent of women’s involvement and influence across all decision making structures. VSO works with some of the most disadvantaged women and girls in the world. At the grassroots level, we are working with them to improve education outcomes, maternal and sexual healthcare and economic independence. Find out more. We cannot move forward if half the world's population is left behind.